It seems Amazon could get into a fight with its own reflection these days. Amid its seemingly endless scraps with book publishers, it's now sticking it to Disney too. 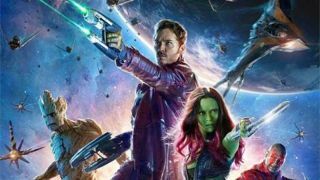 The retailer has halted all Blu-ray pre-orders of Disney movies like Guardians of the Galaxy, Maleficent and Muppets Most Wanted. Instead Amazon is requesting users sign up for alerts when the disc becomes available, but it does appear the firm is allowing fans to pre-order digital copies via the Amazon Instant Video service. The spat, which neither side has yet acknowledged, mirrors an issue Amazon had with Warner Bros. earlier this year when pre-orders were also removed. The falling out follows Amazon's long-running battle with publishers like Hachette as it seeks the right to lower ebook prices and print books for itself if stocks run out. In a statement published at the end of July, the seller wrote: "A key objective is lower e-book prices. Many e-books are being released at $14.99 and even $19.99. That is unjustifiably high for an e-book. "With an e-book, there's no printing, no over-printing, no need to forecast, no returns, no lost sales due to out-of-stock, no warehousing costs, no transportation costs, and there is no secondary market -- e-books cannot be resold as used books. E-books can be and should be less expensive," Amazon wrote.